While Belafonte wanted to create something memorable and meaningful for The Muppet Show, that did not mean that silliness would be banished from the entertainment. Given that Fozzie Bear took the lead for the evening, zaniness was to be expected. 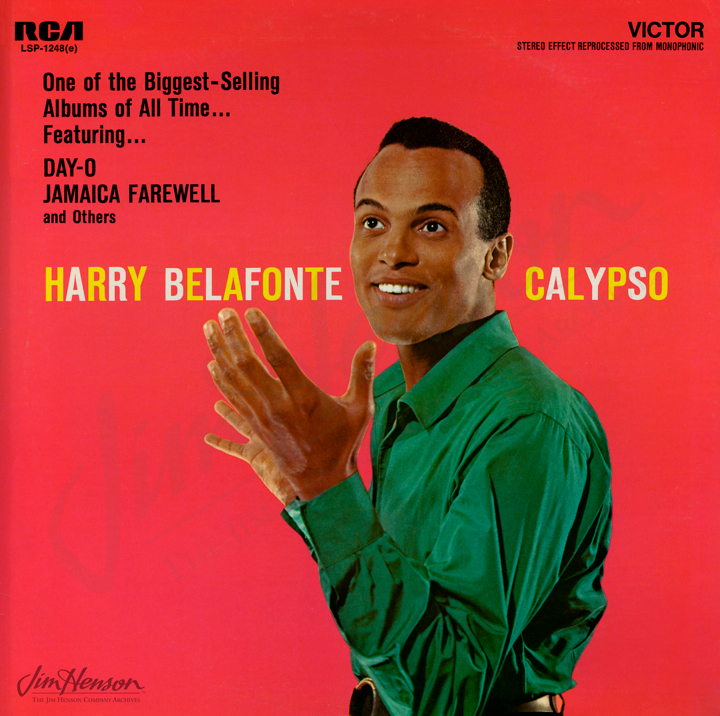 Belafonte’s signature piece (though never before performed on television) “Banana Boat Song” was a riot of pigs and oversized bananas, and Belafonte’s drumming skills were matched to Animal’s. Things calmed down for the final number which Belafonte wrote (with Robert Friedman) especially for the show, “Turn the World Around.” The theme of becoming engaged and making a difference jibed well with Jim’s efforts to make the world a better place. 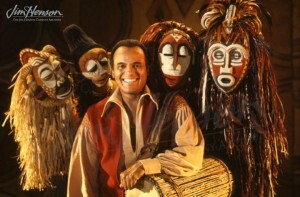 The Henson workshop designed a new group of characters based on African masks specifically for this performance. With Belafonte’s insistence on authenticity, the staff did extensive research on African art to use as the basis for their designs. The singer was pleased and the performance has become a classic Muppet moment watched repeatedly by fans of both Jim’s characters and Belafonte. Belafonte’s 1956 album Calypso from Jim’s record collection. 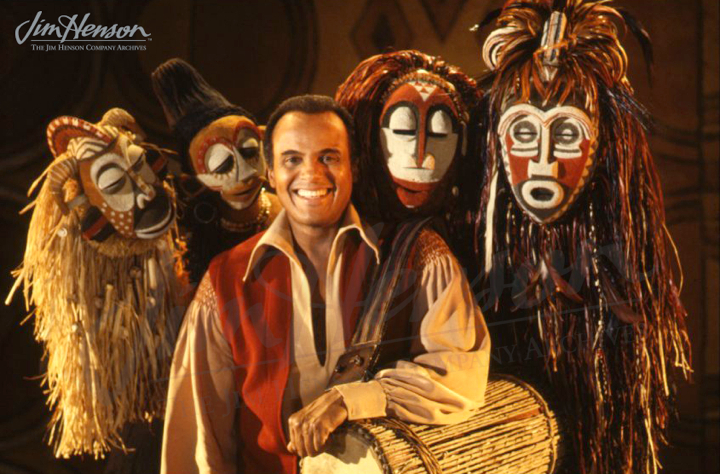 Harry Belafonte and the African puppets on The Muppet Show, 1978. This entry was posted in 09-September '78, Muppet Show and tagged Animal, Fozzie Bear, Harry Belafonte, The Muppet Show. Bookmark the permalink.